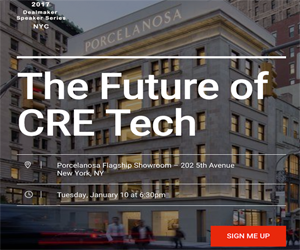 The technology evolution reshaping the trillion-dollar multifamily industry is accelerating improvement to every facet, from construction to tenant amenities. Even with high demand for rental space, multifamily tenants remain selective and seek certain tech features. How property managers and owners market their properties is radically different from just 10 years ago. Staying ahead of the latest tech trends helps owners and developers attract and retain the best tenants. More potential tenants turning to the internet--especially their mobile devices--to search for available properties. This means property managers need to be up to speed with the latest real estate search apps and property management apps for their field. Tenants like to check a property's availability, use chat features to ask questions, and book showing appointments all on their phone. Current tenants appreciate the accessibility of placing a work order, reserving amenities, contacting management, and paying rent online or through their phone. For property managers, going mobile means less paperwork and the ability to address problems anywhere at anytime. Both residential and commercial tenants prefer high-speed networks. Multi-family tenants demand excellent connections to accommodate multiple devices. Tenants are likely to run their computers, phones, voice-activated devices, and televisions over a Wi-fi connection. As more people drop regular cable, the demand for superior Internet speeds becomes even more critical. It's not just the tenant that needs high-speed internet access. An increasing number of new multifamily sites are installing smart building technologies to improve energy efficiency. The Internet of Things (IoT) helps multifamily owners and their tenants save money by automatically adjusting property utilities like lights, temperature, and humidity based on occupancy. IoT technology can monitor the status of HVAC units, occupancy data, and smart landscape watering systems. Thanks to new technology tools, multifamily property owners have access to new data on everything from the leasing process to property disposition. Innovative dashboards help owners and property managers improve their revenue optimization. With the click of a button, it's possible to track every cent spent on marketing, generate rent rolls, and analyze individual property performance regardless of portfolio size. Big data is changing how owners make decisions, manage projects, and handle their assets--essentially, it makes every aspect of multifamily more efficient. More emerging tech trends are influencing the multifamily industry. Virtual and augmented reality impacts property marketing and while new vendors streamline amenity offerings. In particular for the multifamily market, owners and developers should pay attention to smart home tech trends.